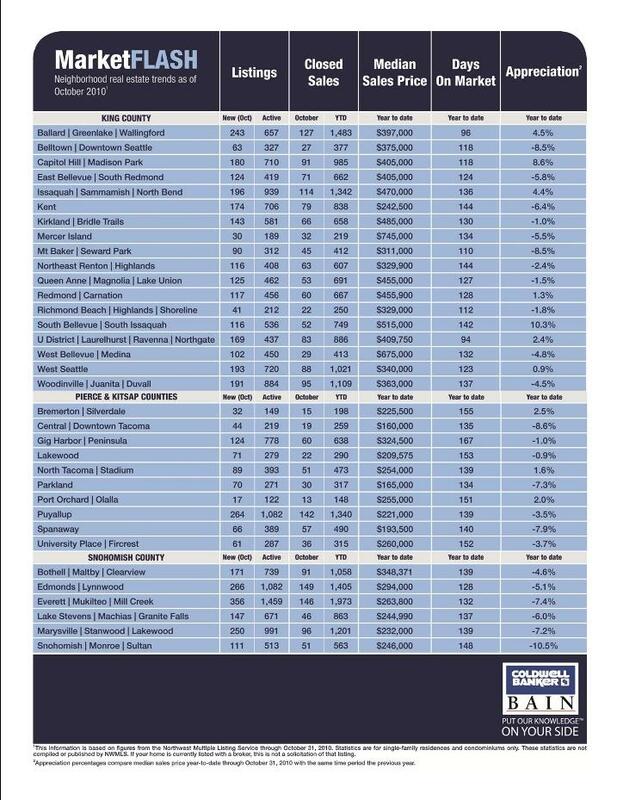 Here are the statistics for October 2010 in the Greater Seattle Area by neighborhood. If you would like even more detailed information about your street, block, etc., just let me know. I have the system so you can set up your own search and you decide how often you want to receive it. Or I can set it up for you. For an example, call, e-mail, or check back in here and I’ll have a link to an example.